The last Harry Potter book came out eight years and a day ago—July 21, 2007—which I can’t really believe. I clearly remember waiting in line at Borders with my friends, getting the book just after midnight, and then rushing home to sit on my couch all night long and devour it. I read it in a single sitting and am still not quite over it. Nor is the rest of the world, thank goodness. The influence of Harry Potter doesn’t seem likely to fade anytime soon, even if we as fans and followers grow up and discover a few flaws in the original canon. One of the most regularly discussed and fought about topics is the fact of Hogwarts Houses and how impossibly, simultaneously rigid and malleable Sorting can be. The original Houses in J.K. Rowling’s series are Gryffindor, Slytherin, Ravenclaw, and Hufflepuff, respectively known for bravery, cunning, intelligence, and loyalty. Gryffindor is the star of the books, since almost all the lead characters are in that house, and Slytherin invariably takes the role of villain. Ravenclaw characters exist mostly as side characters, with the only real main Ravenclaw character being Luna Lovegood, and Hufflepuff is relegated to the very back of the crowd. The Houses are mostly portrayed as rather static and with very clear, defining characteristics. The only real exception to this might be Gryffindor, if only because since most of the main characters are in Gryffindor, we clearly see the widest range of personalities from that one House. Hufflepuff, on the other hand, only has a few named and main characters in the books: Nymphadora Tonks and Cedric Diggory are really only the two to make lasting impressions. Slytherins are mean and Ravenclaws are smart (and maybe a bit kooky). In an effort to lend more nuance to the House Sorting system, lots of fans have adopted headcanons about how or why sorting works the way it does, in addition to the introduction of hybrid Houses to round out the ranks. One of the best resources, in my opinion, for some brilliant House and Sorting meta is Sorting Hat Chats on tumblr. 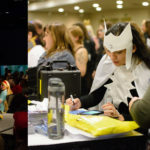 The two fans behind this tumblr, Inky and Kat, have created a system that expounds upon what Rowling proposed, introducing Primary and Secondary sorting, modeling and performing Houses, and even “burnt” Sorting. Their aim in creating this system was to “help us capture some complexities in characters” by looking at why you do things (which is your Primary house) and how (which is your Secondary). The best way to understand SHC’s system is, of course, to read the introduction written by Inky and Kat on their blog, but here’s a quick run-down. Your Primary house is why you act the way you do: “your motivations, your values, and the way you frame the world around you.” For example, a Gryffindor Primary’s motivation in life is found in trusting her moral intuitions and going with her gut. A Hufflepuff Primary values people and fairness, so those ideas are going to guide why he acts the way he does. In SHC, the Secondary house is how you approach the world. 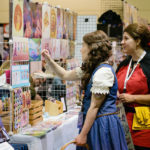 “It’s not necessarily what you’re best at, or even what’s the most useful to you, but about what skills and methods you value as being intrinsic to you.” Ravenclaw Secondaries plan, collect and strategize in order to succeed at their goals, while Slytherin Secondaries are more off-the-cuff. They improvise and like to come at a sticky situation from as many angles as possible in order to figure out what works. This idea takes into account something that’s basically been accepted in Harry Potter fandom—that the Sorting Hat chooses based on what traits a kid values, not necessarily what he or she portrays. This is why, for example, Hermione was put into Gryffindor and not Ravenclaw, despite her obvious intelligence. As early as the first book, Hermione clearly values bravery over intelligence: “Books! And cleverness! There are more important things—friendship and bravery,” she says to Harry at one point. 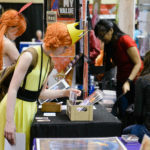 The multi-layered system that SHC proposes means that “Aang, the heroic pacifist protagonist from Avatar the Last Airbender, shares most of his Houses with HP’s Lord Voldemort.” The complexity that Inky and Kat have managed to both describe and ascribe to both fictional characters outside of Harry Potter and to real people looking for a way to define themselves is one of the best parts of this system. In addition to the meta focused just on analyzing the Houses and better ways to understand them, SHC also has taken on sorting characters from canons as assorted as The Chronicles of Narnia to Veronica Mars. On top of that, Inky and Kat are more than happy to explain their decisions and debate them with an incredibly open mind. They’re devoted to their method, for very good reasons. Another popular trend in Harry Potter fandom regarding Houses is the introduction of hybrids. These often have similarities to the Primary/Secondary method proposed by Sorting Hat Chats, but are a bit less analysis-heavy and sort of just funner to say. 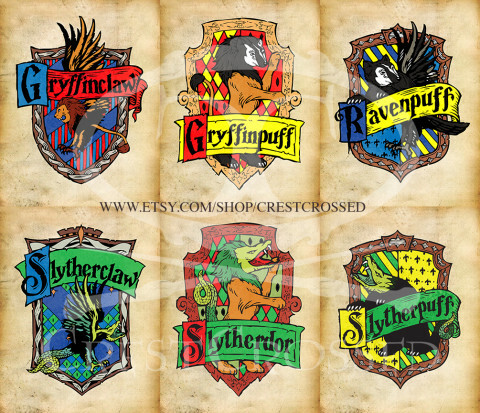 The possible hybrid Houses are usually called Ravenpuff/Huffleclaw, Gryfferin/Slytherdor, Slytherpuff/Hufferin, Huffledor/Gryffinpuff, Slytherclaw/Raverin, and Gryffinclaw/Ravendor, with devotees usually either choosing which name of the two appeals to them or which aligns more with their Primary/Secondary sorting, even if they’re not familiar with that meta. For example, I consider myself a Huffleclaw, because I’m Primary Hufflepuff and Secondary Ravenclaw. Since this method of Sorting actually introduces “new” Houses, some fans like to imagine accompanying dormitories, colors, and even animals. Tumblr has definitely glommed onto the hybrid House theory, with hundreds of posts coming up for each new mashed-up name. Hybrid Houses also offer an interesting alternative to Hatstalls, a new concept introduced by Rowling in June. Hatstalls are a rare occurrence when the Sorting Hat takes more than five minutes to sort someone. The only known official Hatstalls were Minerva McGonagall and Peter Pettigrew who, respectively, would’ve probably fit perfectly into Ravendor and Gryfferin. Reported near Hatstalls were Filius Flitwick (Ravendor), Gilderoy Lockhart (Slytherclaw), Hermione Granger (Gryffinclaw), Neville Longbottom (Gryffinpuff), and Harry Potter (Gryfferin). Interestingly enough, true Hatstalls only occur around once every 50 years, but plenty of Harry Potter fans consider themselves too complex to fit neatly into one House—but, then again, we don’t have the Sorting Hat to make the right choice for us. What do you think about Primary and Secondary Houses, Hybrid Houses, or Hatstalls? Do you fit nicely into one of the four canon Houses, or is a mix more suitable for you? Let us know what you think in the comments! Gosh! I’m blushing ridiculously hard. I’m thrilled that you like our system and you explained it wonderfully. Great article, and I’m very flattered. Thank you for the read. Thank YOU for all your and Inky’s hard work creating the system! If my hybrid house is Ravenpuff does it mean my secondary is hufflepuff since the hybrids are a bit less analysis heavy? I’m a Huffledor! The first time I took the Pottermore quiz, I got Hufflepuff. But the second time I took it (I took it again when the Ilvermorny houses were created), I got Gryffindor! This left me conflicted whether to call myself a Hufflepuff or a Gryffindor; so, I made another account and got Hufflepuff again! Now that I found out that I can be a hybrid, it’s less confusing and I can comfortably say that I’m a Huffledor or just simply a Hufflepuff. I am a Huffledor! And I am so very happy about it. I kept getting both results, &, as you know, we like scientific certainty… so, that was unsettling. I am glad to feel at peace, in my true house. Hello, family! I’m a SlytherClaw, where’s all my SlytherClaw fam?!? GIRL…Girl, seeee….Im a Slytherclaw! So I got you!! I got you girl!!! Same boat….. I’m confused. I’ve always identified as a ravenclaw with a Slytherin touch to me, I’m confused as well. My first round I got Ravenclaw, years ago, now I got 2 Hufflepuffs and 2 Slytherins? hi everyone! i’m pretty sure that i am a ravenclaw (confirmed by pottermore more than once) but i’m having trouble with choosing a hybrid house. i am ambitious, i have leadership, i usually can get what i want but i am also a kind & reliable person and i think kindness matters. pottermore said that i am horned serpent once & then it said i’m pukwudgie so i am really confused. it’d be great if someone can help me. have a good day! Go with whichever you VALUE most. What would you say your best characteristic is? Are you most proud of your intelligence? Your cunning? Your kindness? I got Ravenclaw and Gryffindor in most quizzes but I went with Hufflepuff because I value kindness, loyalty and fair play above my intelligence and bravery. Where is my #RavenPuff Squad at??? #Ravenpuffs4Life! We are the best hybrid house ever! Kind and smart, seriously!! Harry wasn’t a hatstall! And the only reason for the Hat considering Slytherin was cause he was part Voldemort! BTW Slytherclaws where you at? Proud Gryffinclaw. I’m a GRYFFINCLAW, Where is my familia?!? #Gryffinclaw- Where is my #Gryffinclaw Squad at?? 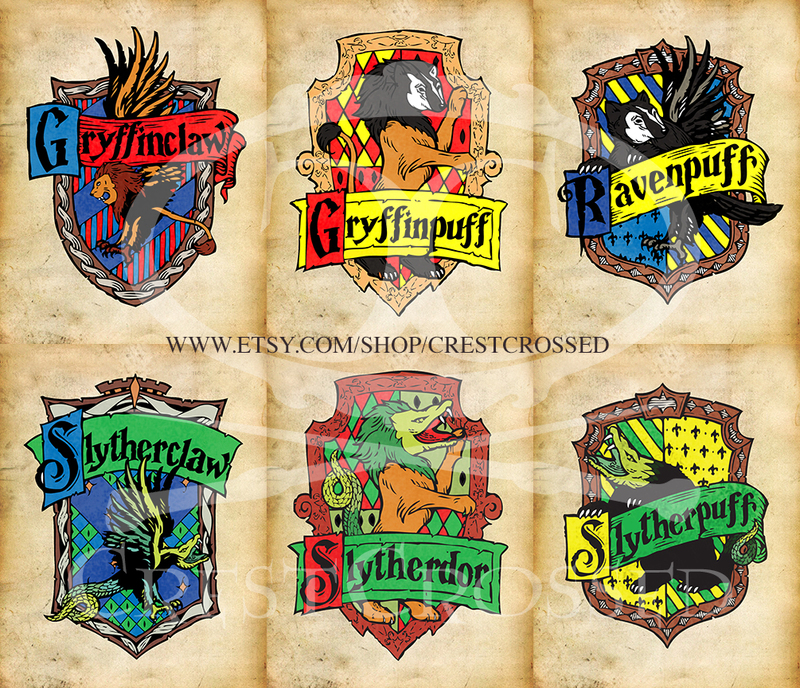 ?#GryffinclawSquad #Gryffinclaw4Life! Will we be glad to have Hermione Granger on the #Gryffinclaw side ?! ?